Meanwhile on Twitter, individual breakdowns of favourite début albums has been a “thing” on my timeline for a while – and jolly good reading all this has been too. There’s little for me to bring to the party… only that someone from a long ago twisted my arm to come up with my own interpretation, and I’ve never been all that proficient in saying “no”. Of course, ranking records is a fool’s game for the simple reason that any list is is a temporary construct. A snapshot of a certain time and a certain mood. It doesn’t make it any less valid, but don’t ask me why I’ve ranked the disc at #34 higher than that at #35, because I’ll have changed my mind tomorrow. In fact I think I’ll have to amend this shortly to squeeze in the first Drugstore LP. I’ve also been strict in my interpretation of début album by excluding those by any artist who jettisoned the more faceless entities of their band by going solo (hence no World Shut Your Mouth. No Viva Hate). Also excluded: débuts by bands that obviously morphed from other successful entities – by which no Lazer Guided Melodies. No Movement. No Public Image: First Issue. No Kraftwerk. No Peng! And no Soul Mining – because the first The The LP arrived under a Matt Johnson byline two years earlier (and wasn’t half as enchanting). Finally, a purist’s breakdown would comprise only first albums that were never improved upon. The following list doesn’t abide by those rules, but I have highlighted those débuts that were never surpassed in blue, just to keep the anoraks happy. Pruning the list was brutal. Records that just missed the cut: Horses by Patti Smith. Garlands by Cocteau Twins. No Ride, Gene, Talk Talk. No Suicide, Field Mice, Echo And The Bunnymen. Culling The Last Will and Testament of Jake Thackray triggered wailing and gnashing of teeth. Ditto The Return Of The Duritti Column. I also had to yank the excellent Desperate Youth, Blood Thirsty Babes by TV On The Radio from the countdown – and all because they self-released the first long-playing entry in their discography, and gave them away for free in coffee shops. #50 The Dandy Warhols / Dandys Rule OK An LP that’s all primary colours and cartoon inflexion, reminiscent of the psychedelic tonality of Hanna-Barbera animation circa 1972. There are a few albums of this vintage that it’s easy to associate with warmth, tenderness, cheekiness, and variants there-of, but few possess these qualities in quite the same concentrations as the Dandy’s début. This is charm generated from its sprawling, unfocused stoner-rock nature – toned and compact aren’t adjectives to wield here – and whilst much of their later material suffers from being too consciously commercial (even if, somewhat perversely, they were never commercial enough for a Capitol Records desperate to turn them into a singles band) or just plain meh, this particular LP is all the better for being rough around the edges. Highlight: undoubtedly ‘Genius’, which manges to be simultaneously engaging, brittle, and as high as a kite. #48 Bis / The New Transistor Heroes Glasgow sci-fi skate pop, all sugar-rush spikiness. Punters like me purchased early Bis records precisely because sophisticated, conformist pop music is generally such a turn-off. We liked the fact that Manda Rin shrieked her lyrics like an over-excited puppy. We fed off the amateurish sheen, the kitsch pop-culture references, the exuberance. Never mind that Bis went very wrong afterwards; this is pop! #47 The House Of Love / The House Of Love AKA the Creation album. As opposed to the Fontana album with the butterfly artwork that shared the same title. It’s a hazy disc, confused and a little contorted, and also quite beautiful in its soft appropriation of psychedelic notions. On first listen Guy Chadwick’s vocals appear nondescript, only to hit you with unexpected warmth when you least expect it, whilst there’s enough going on with the guitar interplay to maintain interest long after the run-out groove. #46 Add N To (X) / Vero Electronics This contains two tracks – over seven and eight minutes long respectively – titled ‘A Very Uncomfortable Status’; this is as good a description of the Add N To (X) sound as any. Vero Electronics is not so much music as sonic wainscotting, performed by horny machines on homemade analogue synths. By avoiding the slightest hint of melody it’s genuinely unsettling. Scary, even. Gets under your skin. A soundtrack to invasive medical procedures, and probably beloved by wasps. #45 Pram / The Stars Are So Big, The Earth Is So Small… Stay As You Are In no way should this work; Rosie Cuckson spends the album singing different songs to the ones the rest of the band are twirling with. It’s full of dissonant chords, screeching samples, 60’s reference points played at the wrong speed, toy instruments. Counter melodies ebb and flow as if disinterested (such as on the beguiling ‘Loredo Venus’); ‘Milky’ sounds like a primary school music lesson. ‘Dorothy’ like a tamazepam Jefferson Airplane. And to cap it all off, there’s the 16 minutes 12 seconds of (mostly) instrumental ‘In Dreams You Too Can Fly’, during which the trumpet has a mental breakdown. And you know what? It’s all bloody marvellous. #44 LCD Soundsystem / LCD Soundsystem The damage isn’t physical – and neither is it damage, come to think of it. Rather, this is a disc that highlights the possibilities when vision is aligned with musical guile. It detonates across preconceived notions of how this type of music should function. Because the sound is cultivated. Ground tilled hard by those with an implicit understanding of musical posture. The sonic textures are incredibly clear and sharp, radiating out in solid arcs of chic, coy electronica – because some records know exactly what they’re about, and thus can pitch it perfectly. #43 Can / Monster Movie If only all things Krautrock hadn’t been so incestuous, there’s a fair chance this list would have a far greater Motorik rhythm section; the Music von Harmonia LP, for instance, is an astonishing début – one of my favourite albums of all time – only Harmonia were two thirds Cluster, one-third NEU!, and those dumb rules above (the first NEU! LP is also excluded) come back to bite me. Monster Movie isn’t effective as later material; this was the band still trying to feel out both line up and a reciprocal relationship with record industry at large. A compromise, then, full of VU-lined psychedelia and free jazz grooves that threaten to goose you up in the middle of the night. Also, vocalist Malcolm Mooney quit the band soon after this on the advice of his psychiatrist, because Can’s off-record sounds were so intense – that’s recommendation enough in my book. #42 Fischerspooner / #1 If some records last a lifetime, others exist for but a flicker. Acts aligned to vogue simply hang out of context; Warren Spooner lacked the musical chops to operate in any other environment, Casey Spooner the peacock who never needed the music in the first place. But if a flicker then how brightly it burned. #1 is something highly evocative, hugely resplendent, a wonderfully exotic drag queen of an LP (all pristine skin and mesmerizing gaze, fragrance by amyl nitrate). A soundtrack to the sultry and the alluring, very much flaunting its catwalk trashiness – it looks good, feels good too – and I make no apology for becoming hypnotized. ‘Emerge’ is peerless. The cover of Wire’s ‘The 15th‘ adds glamorous depth. And the rest ain’t too shabby, either. 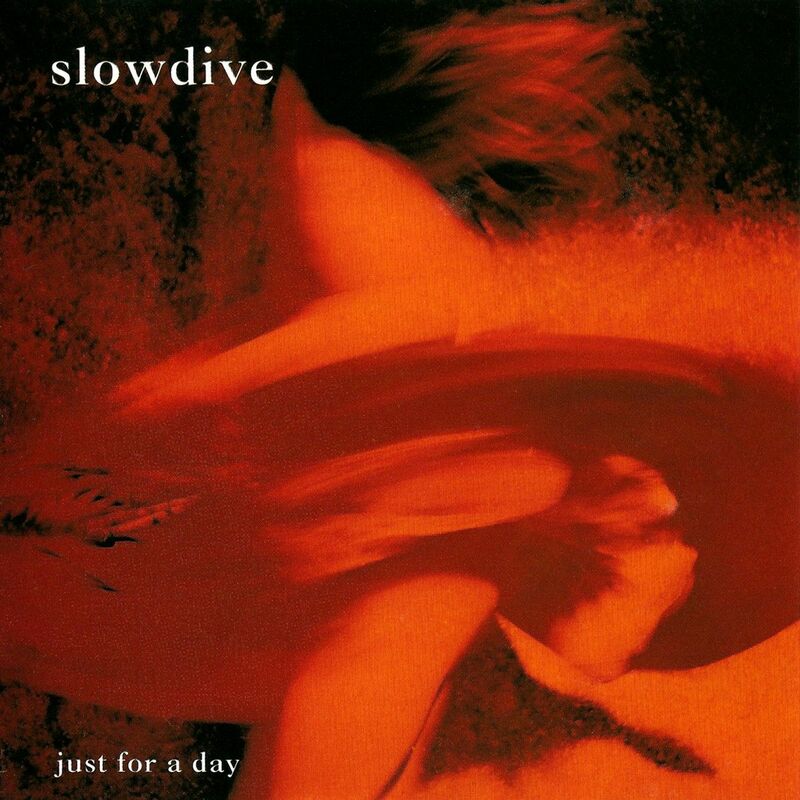 #41 Slowdive / Just For A Day There are certain records you can’t but not fall into. Emotional literacy of the higher order, each track a caress. Just For A Day took a critical mauling on release; music press folly – this is The Cure’s Disintegration as reimagined by the lightest touch of rain on a warm, Spring day, Rachel and Neil’s harmonies embracing beneath the trees. The guitars are beautiful, shimmering, the layers of distortion dreamy and graceful; tracks such as ‘Brighter’ and ‘Catch the Breeze’ ripple with an inner depth. Just a lovely, meditative LP, then. Edit. Ah – that confession. After first publishing tracks #50 to #41, it came to my attention that the record originally placed at #46 wasn’t in fact their début at all (thanks, @HarryDBastard), which makes me some kind of Google-averse idiot; serves me right for being all smug in the opening paragraphs. #46 has been wiped from history, #47 through #50 have been shuffled up a notch, and a new #50 manoeuvred into place. Let’s label this a lesson learned, shall we? No “LGM”?! That must’ve hurt. Nonetheless, there are some excellent albums in these first ten. Can’t wait to see the rest. We need to have words. Surely #46 is actually #6 and #41 must be…? ‘It’s not so much Anglophilic as Anglophonic’. Worthy of the admission price alone. A line I was very proud of – right up until the moment I had to remove that album from the list.